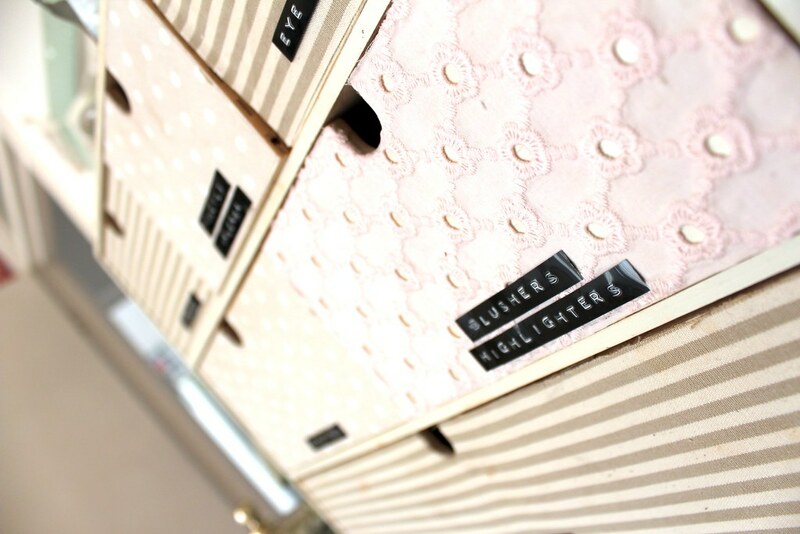 I'm back with a storage post, one of my favourite things to do is organise and reorganise... as you might have guessed! 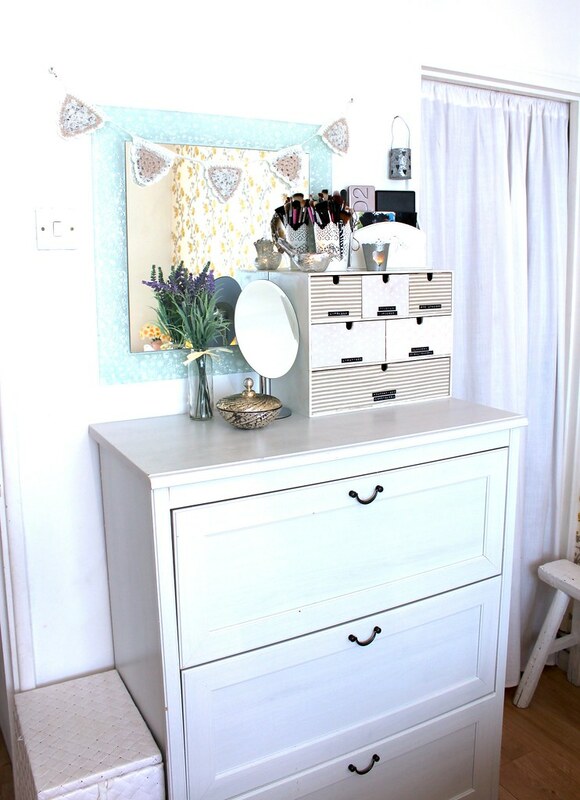 I had a reshuffle in the bedroom (post on that tomorrow) and things are feeling fresh for Spring! To cover the drawers in fabric it's seriously easy. Draw around your drawers on scrap paper to create a pattern. Place pattern onto fabric and cut. 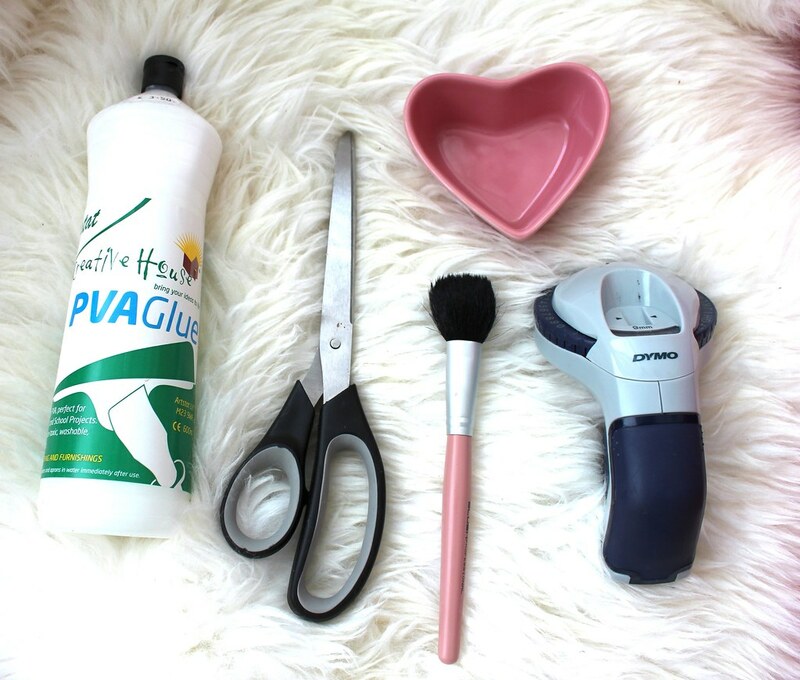 Pour your PVA glue into a bowl and brush directly onto the drawer and stick fabric on top. Wait for it to dry and use. 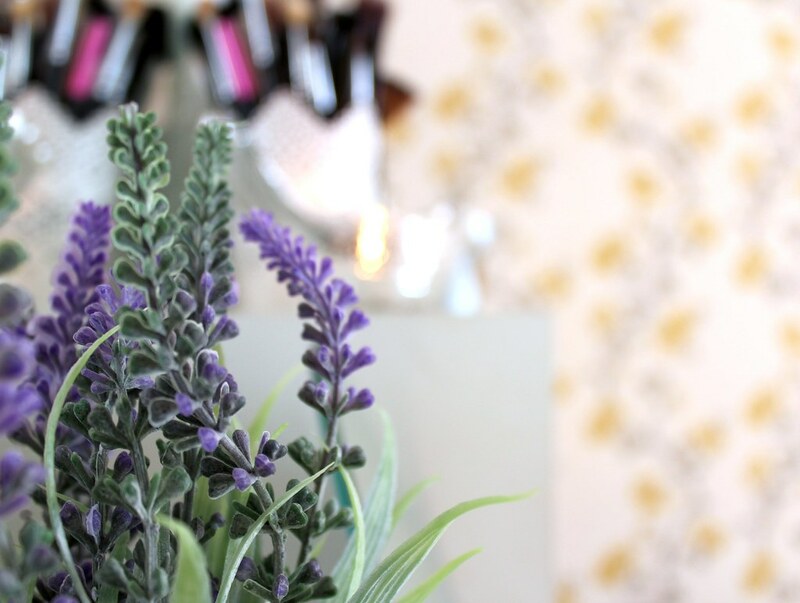 The lavender flowers and glass vase was from 'The range' priced at about £3. 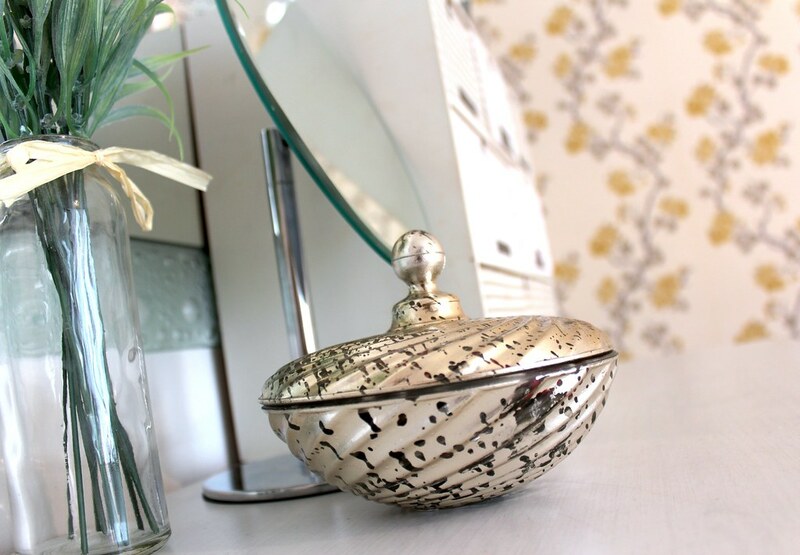 The Mirror on the wall was from a charity shop, and the closeup mirror is from TK Maxx. The brush holder is from Ikea and is actually a candle holder, the glass bird is also from 'The range' the tea light holders are from local shabby chic boutiques, the white wooden letter holder which holds my palettes is from 'BHS' and I made the crochet bunting. 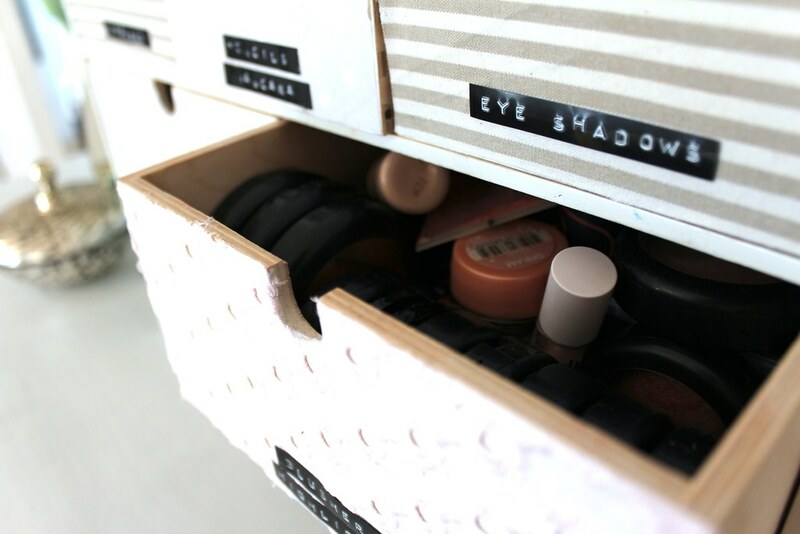 How are you storing your makeup? and would you consider covering your drawers in fabric? I’m definitly going to visit my local Ikea store tomorrow. Thanks for the inspiration. I love everything about it! It's so pretty, good job! It's so inspiring :) Great post! 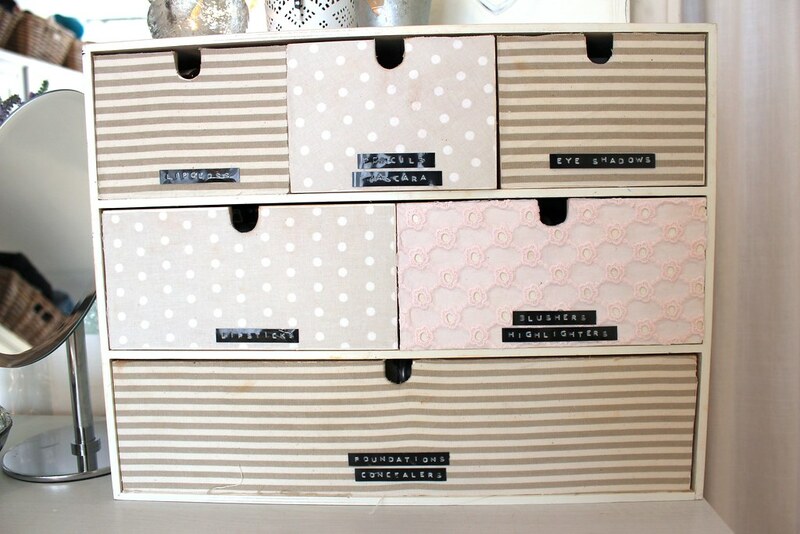 I love these drawers, I have a set that I gave a makeover to with some scrapbook paper. I use them to hold all my nail polish! Your room looks so lovely! 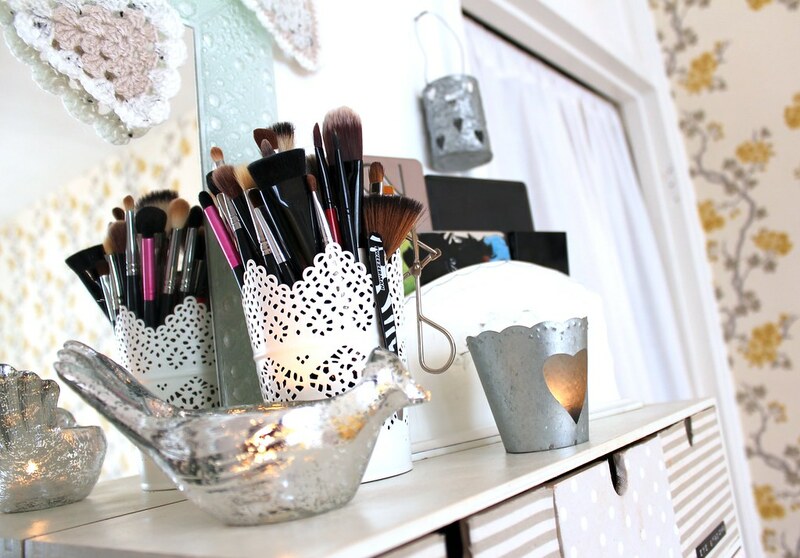 Love the brush holder, Im currently using a kitchen utensil holder! What a cute idea! So creative, I love! 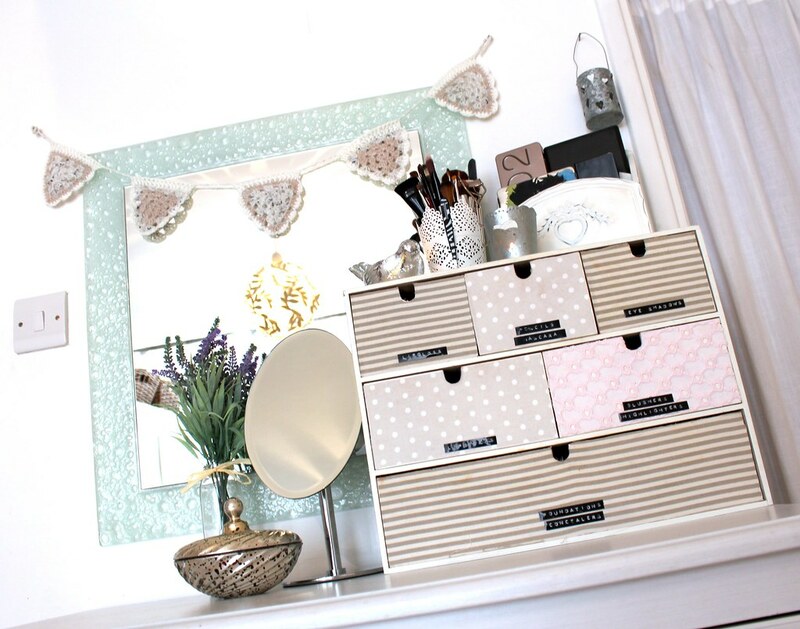 You always have amazing storage ideas! Such a great idea! 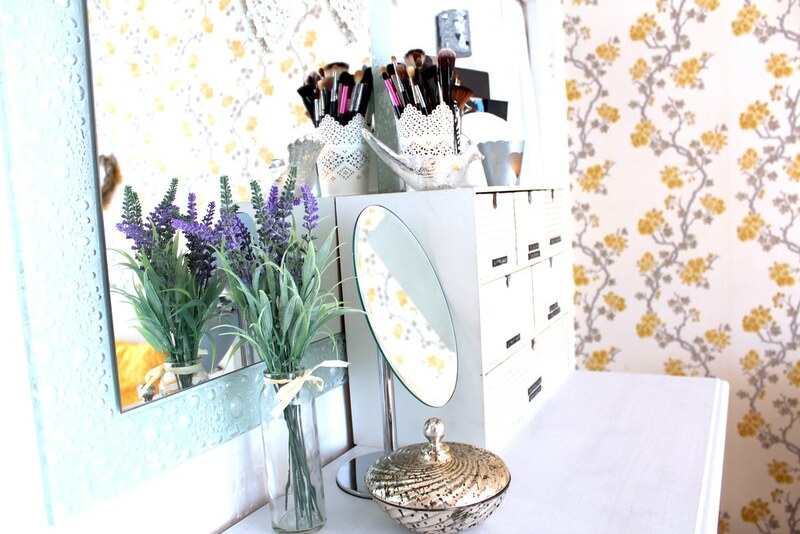 I was using my muji drawers until I finally got an antique table that I turned into a vanity! I like how you labeled the drawers. Genius idea. Thanks for sharing this post I also share with you some tip hope you like. The self-storage facility has put in place adequate security measures.You can access your self-storage unit when you want to The units on offer in the self-storage facility are the right size for you and could cope with any future needs you might have to increase or decrease the space you rent. The self-storage facility offers units that will suit the goods you want to store - for example, if you're storing valuable items you want an enclosed unit with concealing walls so that nobody can see what's inside. I lovelove your storage posts! work on. You've done a formidable task and our whole neighborhood will likely be thankful to you.